“That is some of the best fish I have ever had. Is there any more?” Music to my ears. These are the words of my husband after last night’s dinner of Jalapeño Buttered Cod. I would definitely agree. I should have made more! As a bonus? It is SO easy to make. I found this recipe while rummaging through my stack of old magazines. 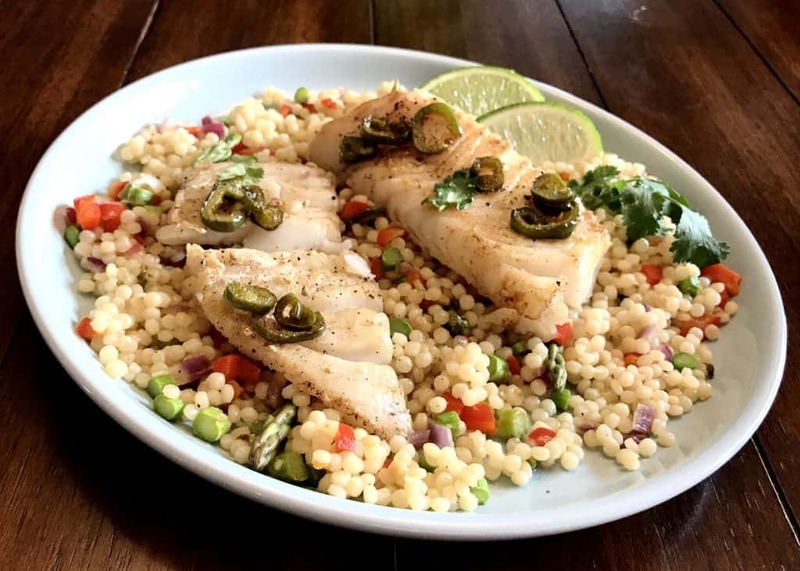 It is officially called “Basil Halibut with Jalapeno Butter” (August 2015 issue of Better Homes and Gardens). 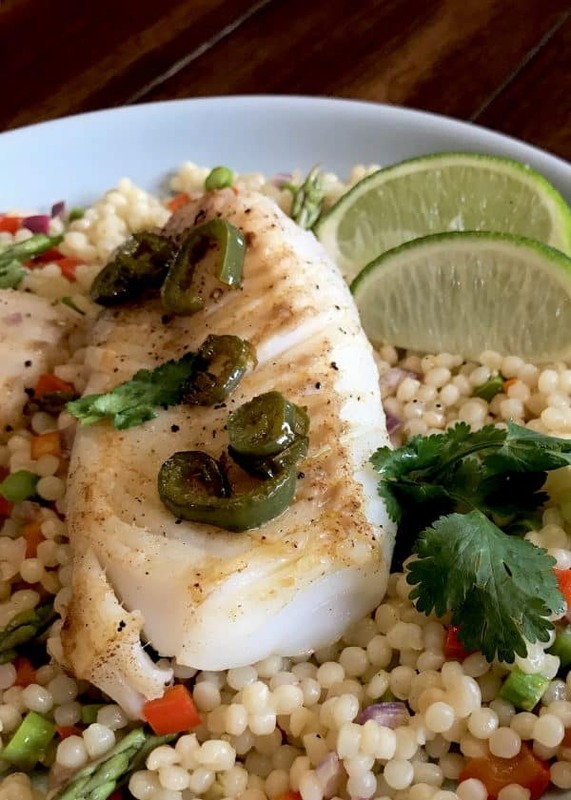 Halibut is not always easy to find fresh here and is often expensive. The recipe suggested cod as an alternative which is readily available and reasonably priced. The highlight of this recipe is the jalapeno butter. 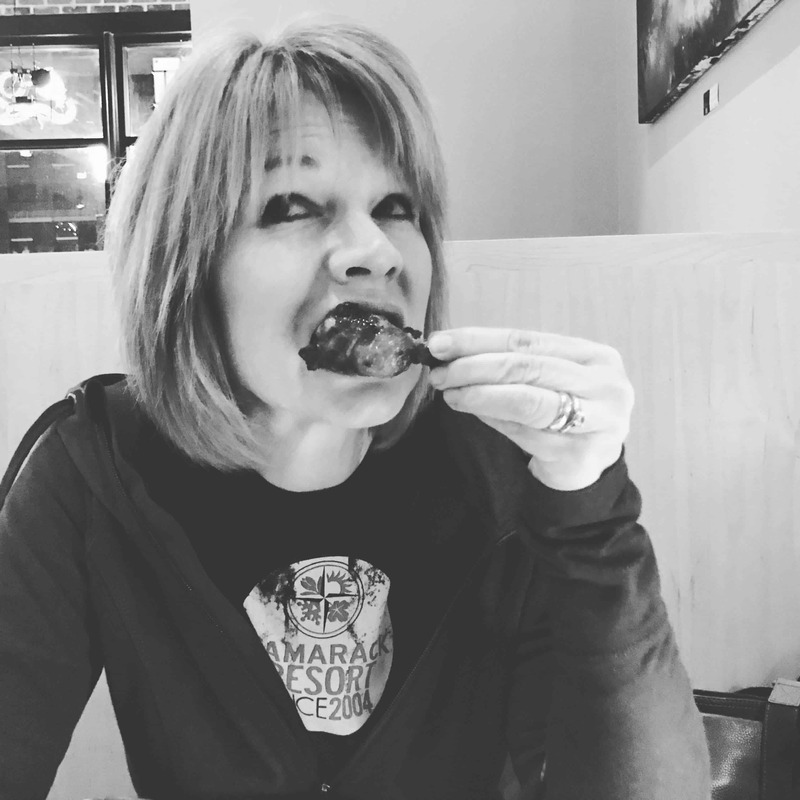 Even if you are not a fan of jalapenos or spicy food in general, do not be afraid to try this. 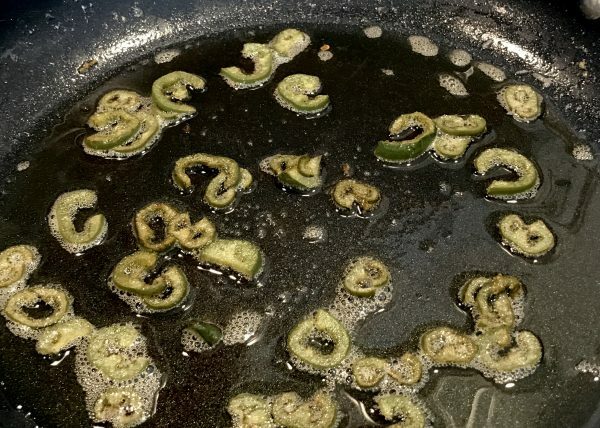 As the article said, “Cooking jalapenos in butter leaves them tender and mellow.” The seeds and veins are removed which greatly reduces the heat level but cooking them in butter removes the “bite” of a fresh jalapeno and leaves all the warmth and flavor. It was summer when I first made this dish. Grilled asparagus and a simple tomato salad completed the meal. The only thing I might have added was a piece of crusty bread to soak up any of the leftover jalapeño butter from the plate! Most recently, a couscous and vegetable medley made an appearance. 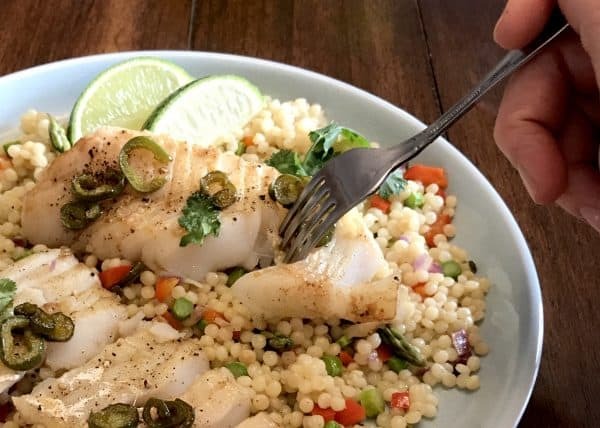 This particular couscous is called “pearl” or “Israeli” and cooks quickly and easily. I like it best cooked in chicken or vegetable broth instead of water. Fresh asparagus and frozen peas are added to the cooking liquid for the last 2-3 minutes for blanching/steaming. 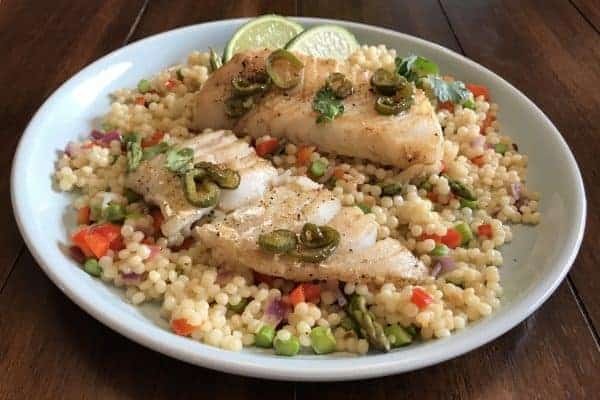 When couscous is fully cooked, finely diced red pepper and red onion, a drizzle of olive oil and a squeeze of lemon juice are added. Salt and pepper might be needed depending on the cooking liquid used. This dish is excellent served warm, room temperature or cold. I’m so glad this recipe caught my eye. I’m glad there’s still a whole pile of old magazines for me to search through. 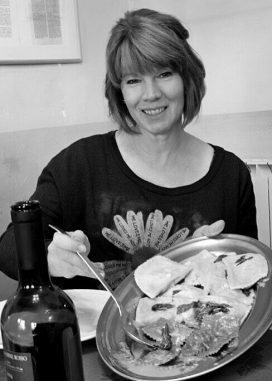 My test kitchen is always in operation with the success of the recipe determined by the compliments at the table. You really should thank my husband … he weeds out the ones that are merely mediocre or even complete failures for you. 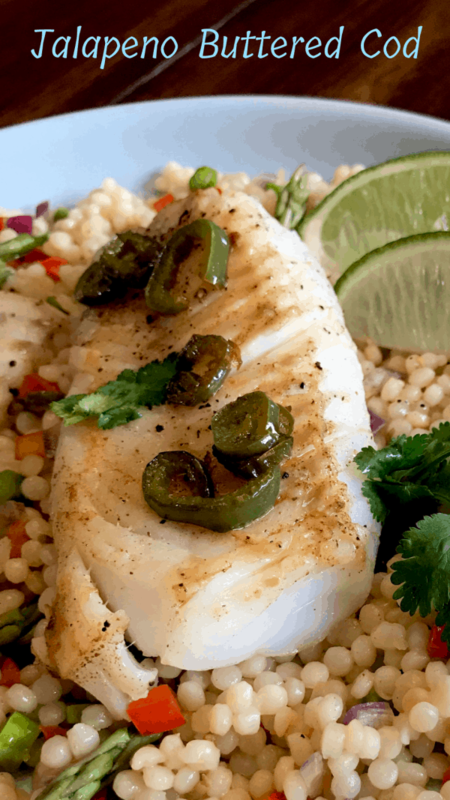 Jalapeno butter drizzled over grilled or sautéed cod makes the perfect healthy meal. Made in minutes and finished with fresh lime juice and basil, this recipe is sure to please family and dinner guests! Melt butter in a small skillet over medium-low heat. Add the jalapeños and sauté for 5-6 minutes or until jalapeños are tender and beginning to brown. Remove from heat. 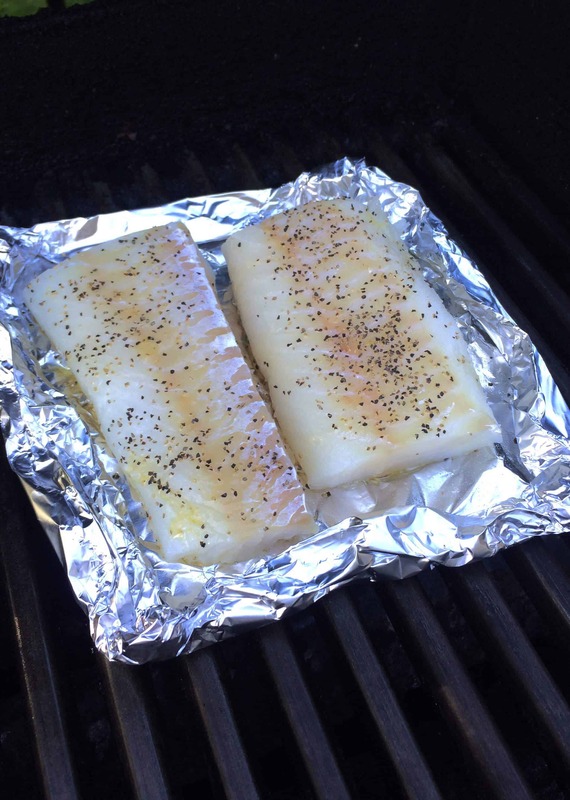 Spray a piece of aluminum foil (big enough to hold the fillets without the fillets touching) with cooking spray. Drizzle olive oil over the fillets and sprinkle with salt and pepper on both sides of the fish. Roll up the edges of the foil to make a "tray". Place the "tray" on a preheated grill (350º-400º). After about 3 minutes, gently flip the fillets on the foil. Continue to grill 3 additional minutes. The fillets should start to flake apart, signaling that the fish is done. If uncertain, stick a fork about half-way through thickest part and twist the fork gently. If the fish flakes, it is done. There should be no resistance. Preheat a nonstick pan over medium-low heat and add a drizzle of olive oil. Sprinkle both sides of the cod fillets with salt and pepper and place in the pan. After 3 minutes, gently flip the fillets. Continue cooking for 2-3 minutes, or until the fillets begin to "flake". Remove cod from pan. To serve, drizzle the fish with the warm jalapeño butter, sprinkle with basil or cilantro (optional) and a squeeze of fresh lime juice over each fillet. 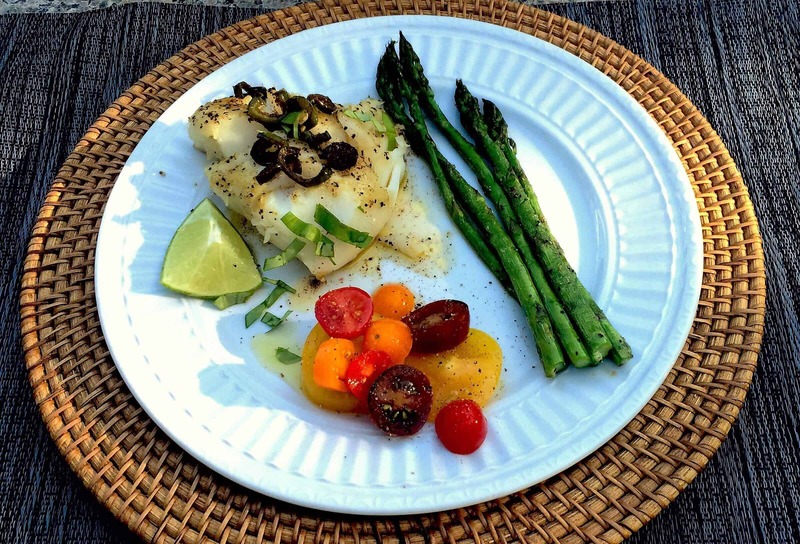 Serve cod with simple sides like grilled asparagus and tomato salad (olive oil, salt, pepper and fresh basil). Sounds so yummy Anita! We will definitely try it!